The Great Northern suburban service was about to change with the completion of electrification in 1976. But in 1975 the old diesel service with non-corridor loco hauled stock and elderly DMUs still held sway. 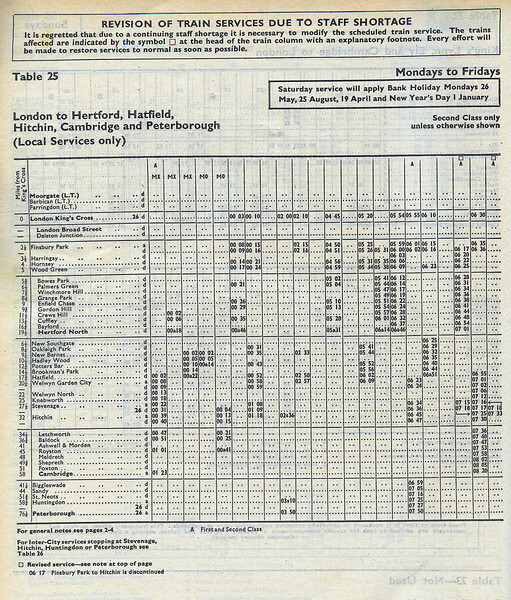 But as you can see staff shortages were causing severe problems maintaining the service, so much so that semi-permanent cancellations were identified in the printed timetable.